This entry was posted on November 3, 2010 at 18:47 and is filed under Uncategorized with tags Bingo, sunshine, sunshine martyn, Yvette, Yvette Martyn. You can follow any responses to this entry through the RSS 2.0 feed. You can leave a response, or trackback from your own site. You are a REALLY good writer! Enjoyed reading that. Pretty funny blog entry. I agree great picture (you look great). Also funny how you are saying you were dressed up but nobody else really was. I can imagine you dressing up for that night out, that’s all part of the fun for you I think. But maybe others just like to slum it a bit and not bother too much. Both ways are ok. 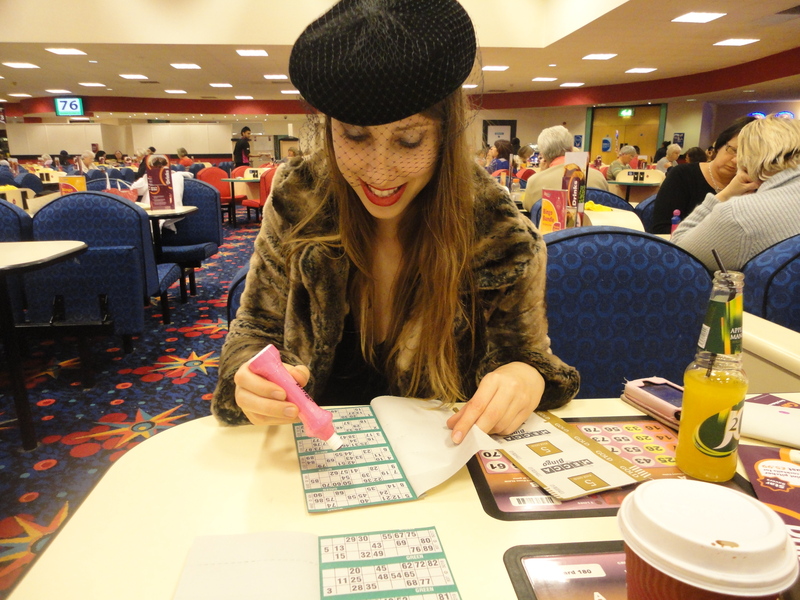 I suppose bingo is a bit like gambling, taking part in a game to win money. I would never feel I would win anyway, so I probably wouldn’t find it exciting but others would certainly feel differently. And yes I’m sure political correctness has put an end to some of the traditional bingo lines, which is a shame I like things to keep some of their original character and tradition. I’d have been tempted to shout out BINGO!! really loudly if I’d won.